Last week I was in Copenhagen for a few days where VIPP invited me to attend the opening of the VIPP Hotel. You might think the VIPP hotel is a traditional hotel but instead the hotel consists of three different rooms on three different locations! The first room is the VIPP shelter and I am pretty sure you saw the all black and industrial shelter before on many blogs. The second room is the VIPP Loft which I attended the opening, while the third room is in the make. 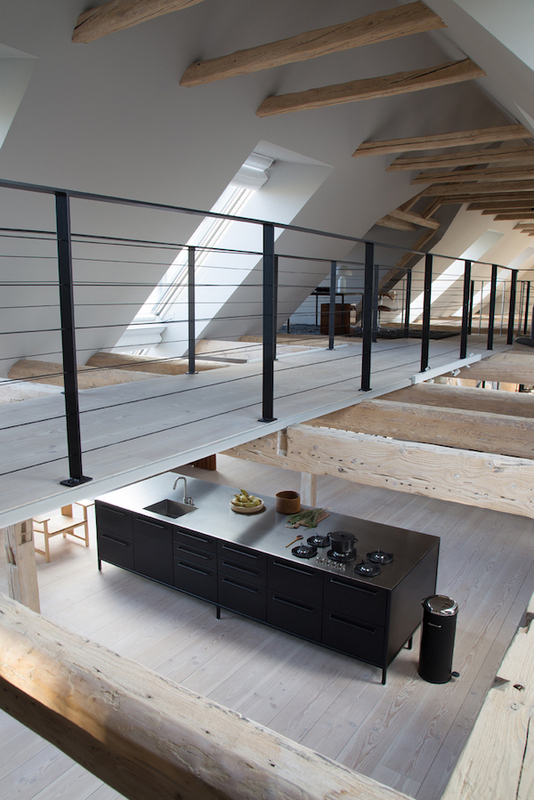 The VIPP Loft is a 400m2 open space located on the upper floor of the VIPP offices in a former printing factory in Copenhagen's Islands Brygge area. 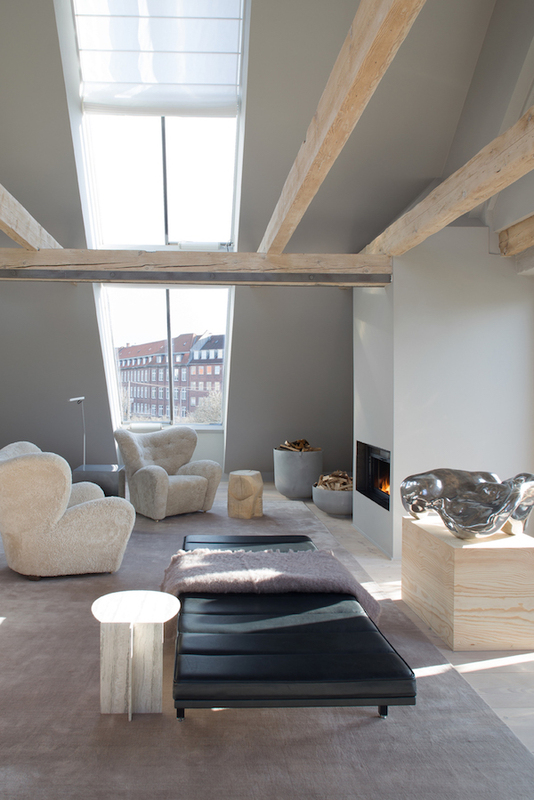 Studio David Thulstrupof designed the space that was totally covered in white paint. 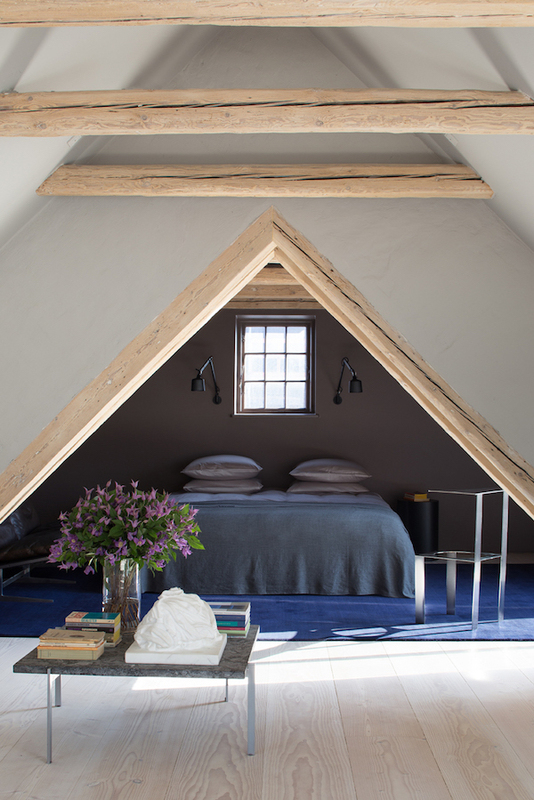 Beams were undone from the white layers bringing back the natural colour and walls were painted in a soft grey perfectly matching the natural colour of the wood. 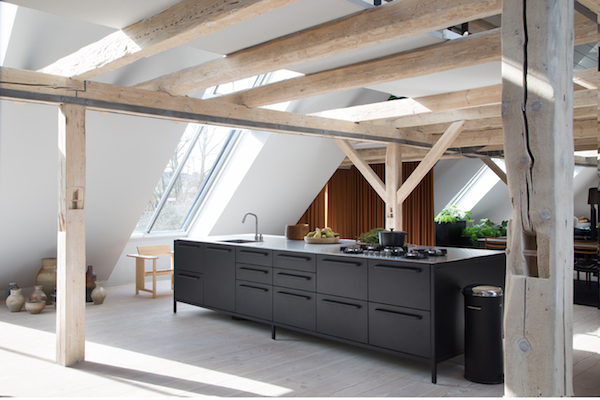 The Shelter is all black but in the Loft some colours are used, in the huge black kitchen vintage bottles are combined with the mostly monotone VIPP accessories, and brown Kvadrat curtains can be closed to create a cozy dining area. In the living a fireplace surrounded by two By Lassen chairs and green couches. 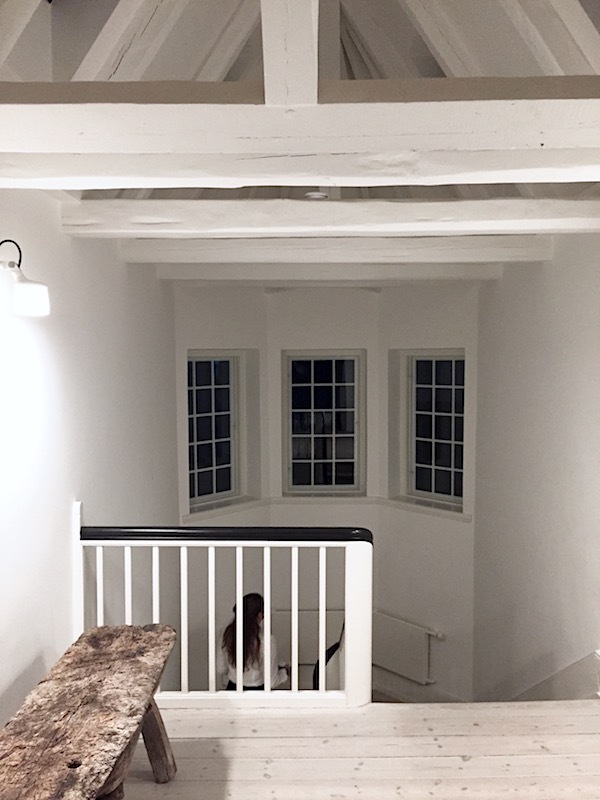 The spiral staircase leads to the mezzanine where a study and library and a cozy dark bedroom at the end of the small bridge, from where you have a magnificent view on the kitchen area below, is located under the roof. With it's two bedrooms there is place for four people in the loft, have a look here on how to check in into the VIPP Hotel.